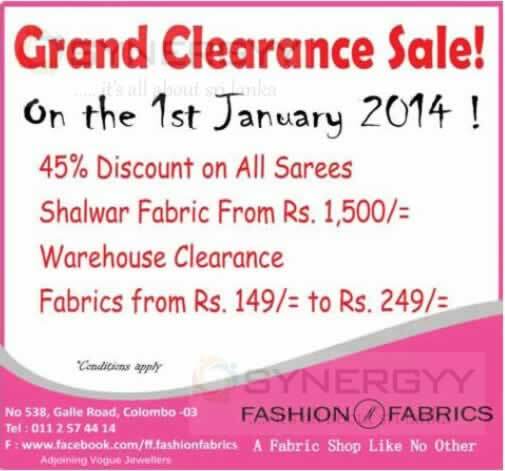 The Fashion Fabrics announces a grand clearance sales on 1st January 2014 at No 538, Galle Road, Colombo 03. Enjoy 45% Discount on All Sarees, Shalwar Fabric from Rs. 1,500/= and Warehouse Clearance Fabrics from Rs. 149/= to Rs. 249/=.